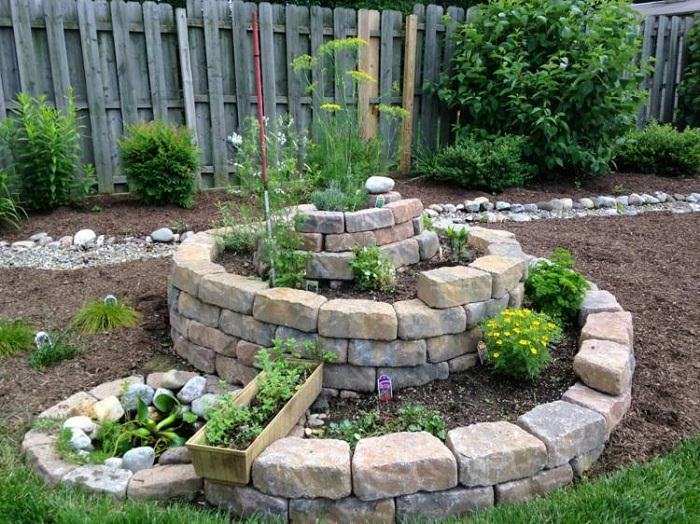 A spiral herb garden is built to grow herbs of various kinds like basil, rosemary, mint, chives, lemongrass and coriander within three dimensional enclosed beds made out of stones in a spiral shape. Its a must to have feature when you are constrained for space but still want to grow your own herbs. With walls that spiral upwards, a herb spiral is built of natural stone as well as bricks. Its made in such a way that the top most part gets the maximum sun light and it is here that you must plant such herbs that need lots of sunshine. The drainage here is the maximum too. The last or the bottom portion of the spiral is most suitable to grow herbs that need less of both sunshine and water. There are many functionalities to building spiral herb gardens. The stones used for making the walls of the spiral store heat received from the sunlight, and then transfer this heat to the herbs planted inside during the night. These days, landscape artists are innovating newer kinds of herb spirals that often come equipped with miniature ponds and wetlands. These spiral gardens not only help in growing herbs and plants but also become the habitats for many a species like frogs and lizards. Today, let’s learn how to make a spiral herb garden in this step by step guide that is pretty informative and interesting. With these steps, you will definitely build your very own vertical herb garden and add a distinct feature to beautify your outdoors. Before beginning the construction of your herb spiral, you would need the following materials that are either available free of cost or at very less price. You would need soil, cardboard sheets, lots of limestone and limestone rubble, mature compost, plants, spade, wheelbarrow, rope, stick, measuring tape, large containers and gravel. You can also collect wood chips and crushed stones that you can lay around the spiral. Building a herb spiral is not at all difficult. On the contrary, its pretty easy to make provided you follow some important steps as shown below. But, before you begin, its vital to select a place that gets enough sunshine. This is important as most herbs grow well in good sunlight. But, if you happen to live in tropical regions, then make sure to build your spiral garden at a place that receives shade too. Let’s take a look at few of these very important steps and get started! This is the first and the most important step towards building your herb spiral as the place where the garden is to be built will determine how successful your herbs can be grown here. Decision has to be made where to grow the spiral. Some places receive more sunlight than others while a few get more shade. Some also hold or retain more moisture than other spots. If your place selection is faulty, chances are that your herbs may not grow well at all as all herbs have different needs and are not alike. Some of these herbs like more sunlight than others and if you plant these at spots that get more shade, then these may die soon. Choose a spot that gets at least 5 hours of sunlight every day and is quite close to your kitchen. Choose the center of your spot and put a pole or a stake just at the middle. Now, using a measurement tape, rope and stick, draw a circle. Now, mark it using limestone. You can also mound up a huge pile of soil at the spot selected and then line with rocks. There is another way to choose a spot. 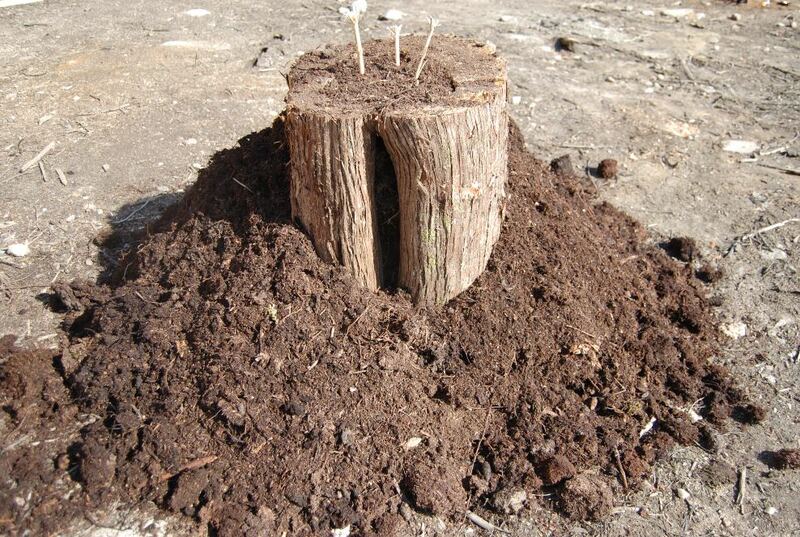 Take a wooden log and put it right through the soil. Then mound up a huge pile of soil around it. Next, you have to remove weeds from the spot chosen to build your herb spiral. You can use a spade or shovel to level the top soil, or else, you can also use cardboard to weed out. Cardboard helps in preventing sunlight from entering and therefore, placing it all over the spot will eradicate weeds and eventually kill them. If you are going with this option, then you would need to soak cardboard sheets in water filled wheelbarrow. 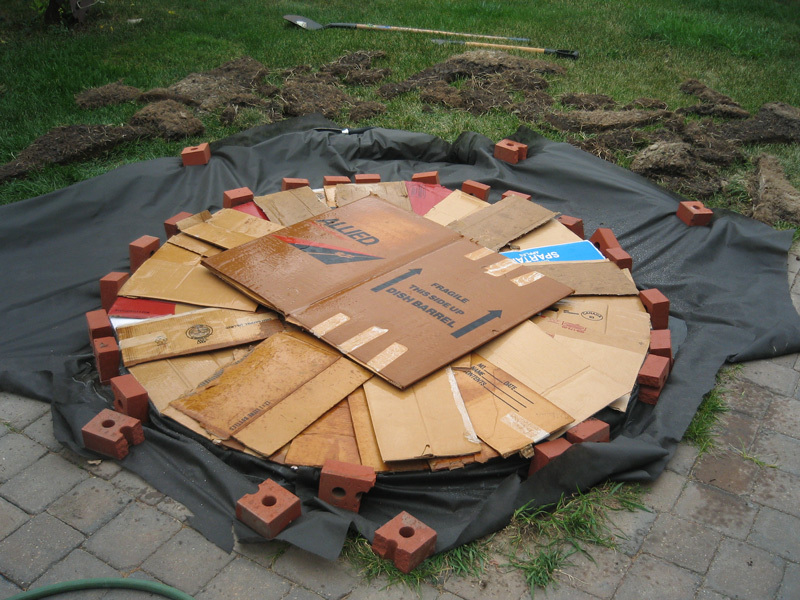 Make them wet and then cover the circle with the sheets such that these block sunlight totally from reaching the weeds. The wet cardboard sheets break down and then add carbon to the soil, thereby adding to the richness and fertility of the soil. If you want to fasten the process of breakdown, add organic materials like vegetable peels and other kinds of waste. Some people like to have a wetland when they build their herb spirals. If you need a pond at your spiral’s foot, then dig the soil near it more deeply. You can use either bricks or stones for creating the wall of the spiral. Begin with layering rocks on the outer edges of your spiral. Continue till you get the shape of the spiral. While layering the rocks or bricks, use cement between to create a more sturdy and formal look. As a general tip, always use smaller sized rocks for the top portion of the spiral, while reserve the larger ones for the bottom part. Also, after you have used the first layer of rocks, start with the second layer. After you have built the spiral wall, now its time for you to fill the insides with gravel or rubble. Most spirals have a center that’s usually very deep. You need to fill this too with gravel or rubble. But, when doing so, do not over do. Simply fill up using a thin layer. You can also use wood chips for this purpose. Addition of gravel, or rubble helps improve the drainage power of the soil, and this in turn helps in proper growth of the planted herbs. 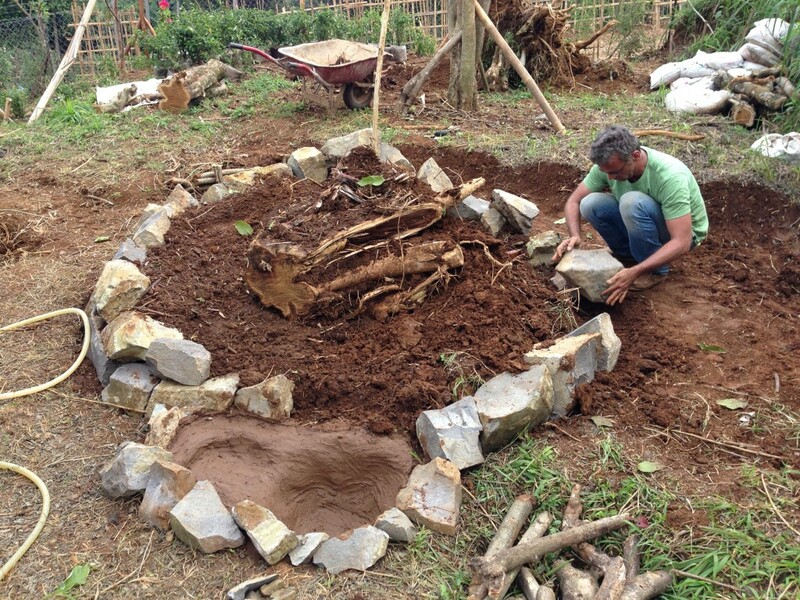 As the last step, you need to add nutrient rich soil to the herb spiral you have built. Nutrients can be added in the form of mulch or compost that’s made of rotten manure, mushroom compost, clippings of dry grass and worm castings. Adding organic soil is much more fruitful in growing plants successfully than simply using dead soil that has no organic materials as mentioned here. There are other ways to increase the fertility of the soil like adding coconut fiber and moss. These materials promote the growth of such herbs that love loads of moisture. You can also add rock minerals to create a more favorable climate for your spiral garden. There are a few herb spiral plants that are usually grown in spirals like savory, hyssop, rosemary, ginger, sage, lemon balm, chervil, chive and tarragon. Spiral garden plants such as rosemary and basil are quite popular choices when herb spirals are concerned. Most of these herbs are used in cooking and are quite popular worldwide. If you plant your herbs at the correct position, chances are that these will grow and propagate successfully. Chives are added to soups and salads because they add a distinct flavour. These herbs are also packed with cancer fighting anti oxidants. Chives love to get sunlight and can also tolerate shade, but not too much of it. When you plant it in a spiral garden, make sure that you do it in the middle portion of the spiral that gets enough sunlight. Lemongrass can tolerate lots of heat as its a tropical herb. But it hates too much of water. Its added in teas for medicinal purposes plus its an active ingredient in many South East Asian cuisines. Its of great benefit to the human body as it helps to fight off arthritis and fever. When planting it in a spiral, always use the sunny portion of the spiral. Plant it on the higher part so that it gets sunlight in copious amounts. Basil is a common ingredient found in many kinds of sauces. Its a herb that is most popular in making Thai dishes. Its anti inflammatory property makes it a much loved herb among people who must grow it on a sunny spot, preferably mid way up in the spiral. For all of you that want to grow mint in spiral gardens, you must know that this herb loves water and less of sunlight. Other plants that can grow well along with it are peas. Mint helps in treating nausea and also treats respiratory diseases. When planting in a spiral garden, plant it near the water body like a pond that is built at the lowest part of the spiral. If there is one herb that needs all the three elixirs of growth, i.e, sunlight, moisture and shade, its dill, a herb that used widely in pickles. It is packed with calcium and helps in treating osteoporosis. The herb grows tall and has to be planted at a spot in the spiral where it doesn’t block other plants from getting sunlight. Dill loves to receive sun, water and also shade. Thyme helps in treating disorders of the respiratory system plus it also helps in treating chronic diseases. This herb loves sandy soil and can tolerate shade. But, it cannot grow well if its planted directly under the sun. Thyme is found in many cuisines. When you are planting it in a spiral garden, make sure that the spot chosen gets ample shade and remains low in temperature. Plant it along with rosemary as both grow well together and need the same things. Salads are seldom made without adding parsley, a flavorful herb that loves shade. It is used as a garnish for soups as well. It helps in treating bad breath and is loaded with vitamin C. In a spiral, plant it in a spot that receives shade and not direct sunshine. Always keep it cool. Another herb that loves sun is tarragon, a common ingredient used in most salads and dressings. It helps in treating intestinal worms and in restoring appetite. Tarragon thrives well under sun, but needs shade too. So, always plant it under the shade of taller plants and in a spot higher up in the spiral. Used in a lot of cuisines, oregano is a herb that offers quite a lot of benefits to human body. It helps in boosting our immune system. Plant it in a spot that gets enough sunlight and stays drier than other parts in the spiral. Always plant it on the higher side of the spiral garden for maximum growth. Rosemary has a strong flavour and is used for relieving pain and aches. It also helps in improving memory and is a mood enhancer. It loves less of sunlight but more of well draining sandy soil. Hence, plant it at a spot that gets less of sun but more of shade. The best spot is higher up in the spiral where it drains well. This herb grows well in all kinds of circumstances. It is a highly accommodating plant that can tolerate any kind of soil plus it doesn’t matter when and in which climate you plant it. Its a highly beneficial herb that acts as a brain stimulant and also helps in treating chronic diseases. You can plant it at any spot in your spiral garden along with oregano. A popular ingredient in Mexican and Indian cuisines, coriander is a herb that loves the sunlight of early morning. It grows fast in well draining soils, filled with nutrients. Packed with antibiotic properties, coriander must be planted mid way in the spiral where it gets enough sunlight from the morning sun. 1. If you have gaps in the crevices of your spiral, you can fill these up with broken stones and cut bricks. 2. In case, you are planning to build a pond at the base of the spiral, make sure that it faces the north direction. This applies if you live in the northern hemisphere of the planet. If you live in the southern part, build the pond in the south direction. This will help preventing evaporation of water. 3. When building a pond at the base of the spiral garden, you have to add black plastic to line the hole you have dug. In that hole, you can keep any type of container and then fill it up with water. Now, you can grow plants like cress. 4. The crevices of the wall can also be filled with sphagnum moss or seed balls made of coconut fiber, some clay and compost. As and when the seeds get water, these will germinate and take the form of beautiful herbs. 5. Never ever grow such herbs inside spiral garden that grow very tall or expand. These herbs will have a tendency to stop the growth of other plants by suffocating them. 6. Plant tall herbs at the back of the spiral garden while the shorter ones must come at the front. 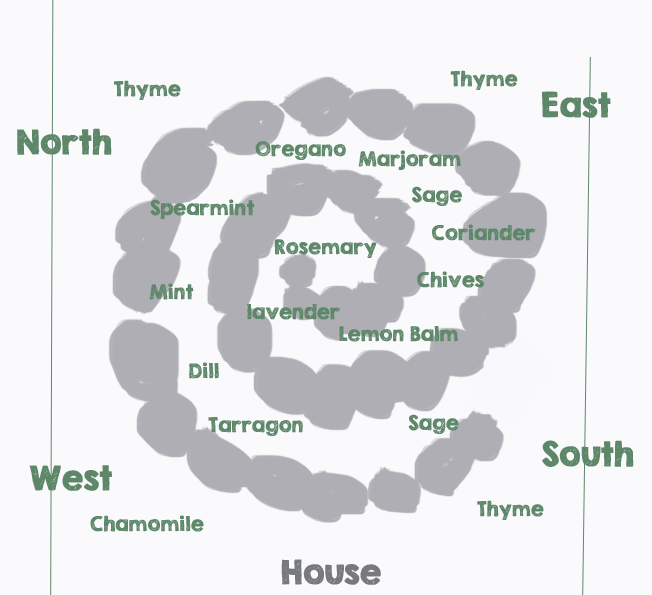 Building a herb spiral is easy provided you follow these simple tips and steps. Its a cheap option for growing herbs of your liking as almost all the materials needed are available free of cost, apart from the herb seedlings or seeds that you have to buy from nursery or from stores. A spiral herb garden is the best option when you are constrained for space, but still wish to grow your own herbs and flowers.